Couples seeking a divorce in Nebraska will find that although the state requires them to state the grounds under which they seek to divorce, it nevertheless allows couples to divorce if both partners believe their marriage is irretrievably broken. However, if one spouse feels the marriage is not irretrievably broken, the court will consider the circumstances that led the filing spouse to seek a divorce and if the court doesn't think reconciliation is possible, it will grant the divorce. In practice, most people in this situation obtain a divorce. When dividing a couple's assets, Nebraska is an equitable distribution state. This means that Nebraska courts divide a couple's assets without using a precise formula, but rather look at each case to decide what would be a fair distribution of assets based on the circumstances. Generally, courts try to split a couple's assets "relatively equally," with each spouse receiving between one-half and one-third of the couple's joint assets. Courts in Nebraska may award "reasonable" alimony to provide for the financial needs of a former spouse, in light of his or her circumstances. In making this determination, the court considers a variety of factors, including the contributions of each spouse to the marriage and care of any children, and the extent to which raising children might have interfered with a spouse's ability to pursue education and a career. In Nebraska, courts don't use alimony simply to equalize the income of the parties. Nebraska courts award both physical and legal custody of minor children by assessing each spouse's parental fitness. If both parents are fit, the court may award both parents legal and physical custody in an arrangement called "joint custody." When awarding custody, the court considers each parent's moral character, emotional ties between each parent and child, child's preference as well as any other relevant factor. Courts award custody without considering the gender of the parents. 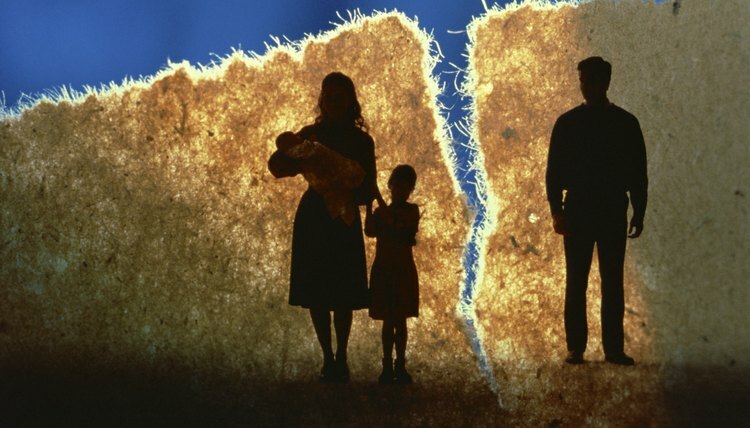 Nebraska courts may order one former spouse to pay child support to the other. In making this award, courts consider each parent's earning capacity. Courts may modify the amount of child support as required, for example, when a parent earns more money after the divorce than he did before or when the cost of supporting a child had risen. When a court does not award custody of a child to the child's mother, it may require the mother to pay child support. James, Timothy. "Divorce & Nebraska." , https://legalbeagle.com/divorce-nebraska-25338.html. Accessed 24 April 2019.